Orthodontic treatments are specialised dental procedures that help to straighten teeth and correct problems with your bite. All About Teeth have implemented a range of traditional and modern teeth straightening options to suit our patients of all ages. We work closely with you to choose the most appropriate treatment using our detailed treatment plans. Depending on the complexity of your case, our experienced and skilled dentists will be able to recommend which treatment best suits your needs. To date, Invisalign is considered one of the greatest advancements in orthodontics to date and provide patients with a metal-free alternative to straighten their teeth. The Invisalign system is a series of virtually invisible removable aligners that gradually, but effectively straighten your teeth. Using state-of-the-art 3D computerised treatment software; Invisalign is designed to move your teeth in a series of stages, until your perfect smile is achieved. Virtually Invisible. One of Invisalign’s most sought after benefits for adults and working professionals is the customised trays are virtually invisible. Fewer Appointments. With fewer appointments, the treatment is easier to fit into your busy lifestyle. Our Townsville Invisalign dentists’ typically only need to see you every 6 to 8 weeks to ensure your treatment is progressing, as it should. Unlike traditional braces, patients can remove the clear aligners during the day to enjoy your favourite foods, or to brush and floss. In addition to enhancing the aesthetics of your smile, straighter smiles also make healthier smiles. When your teeth are straighter, it’s easier to keep your mouth free of cavities and gum disease. 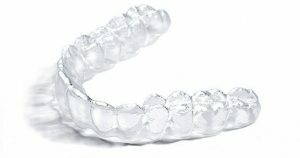 Most of our patients are able to complete their Invisalign braces treatment within 3-24 months. At your free consultation we can provide you with a more accurate estimate as to the time needed to complete your therapy. Clear braces offer a more discreet teeth straightening option than traditional braces, but still use the same technology to move your teeth. The tooth coloured almost invisible brackets are glued to your teeth with strong dental glue and a wire called an archwire connects the teeth together to generate a force to move your teeth. Coloured or clear small elastic bands are used to hold the wire to the brackets. Traditional metal braces have been used to treat millions of patients over a number of decades. They are the most cost effective option and it will take around an hour to apply your braces. 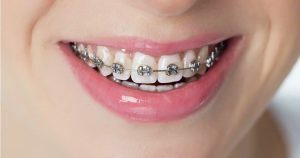 One of the best features of traditional metal braces is they are able to treat any orthodontic issue including severe crooked teeth, overlapping teeth, overbites and underbites. How long will I wear my traditional braces? The time it takes to move your teeth into their desired position will be dependant on the severity of your case. Your age also plays a major factor in tooth movement. A teenagers jaw and teeth will be easier to manipulate than a grown adults as their bones are still growing. Treatment for traditional metal braces can range between 6 and 30 months. For you and your families convenience, we accept cash, cheque, Eftpos and all major credit cards. We also have an integrated HICAPS machine which means you get your private health fund rebates back quickly and easily. If you think you or a loved one could benefit from orthodontic treatment, book in for a comprehensive consultation in our Townsville or Ayr practices today. 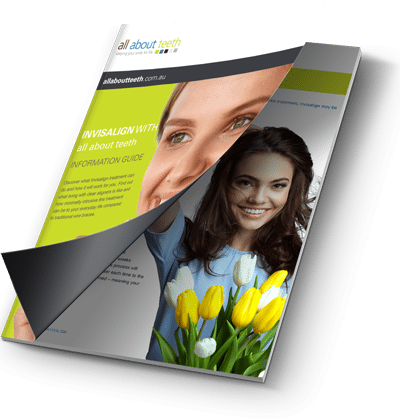 Want to know more about the revolutionary orthodontic treatment Invisalign? Fill in your your details below to receive a comprehensive guide complete with everything you need to know!